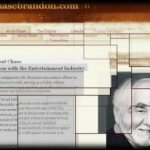 In the years before 9/11 the CIA invaded the entertainment industry. In the years after those attacks this relationship became more pronounced and overt. 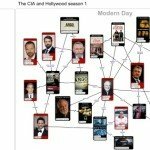 Our recent series The CIA and Hollywood covered some of their big screen activity, and while it is not as influential as their Hollywood operations, the CIA’s role in small-screen productions is still quite pronounced. Of course, a full list of productions is not available but through open source information we can piece together much of the picture. This was an ill-fated made-for-TV movie produced in close co-operation with Chase Brandon, the CIA’s entertainment liaison officer, and which premiered at Langley. The screenplay was written by Roger Towne, who according to IMDB had not made a film for nearly 15 years when he got this job. 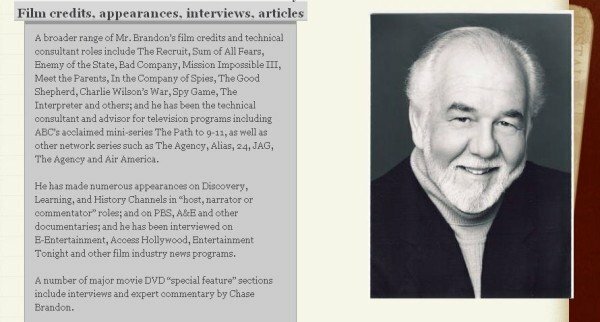 He went on to write the screenplay for The Recruit, perhaps the most Chase Brandon-influenced film ever made, and Towne is listed on Brandon’s website as his ‘writing partner’. Whether Towne is just an unsuccessful screenwriter, or has been working for the CIA all along and his writing job was just a cover, remains to be seen. 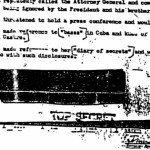 Some CIA documents on In the Company of Spies can be read here. The first of a trio of CIA-assisted (and Chase Brandon-assisted) shows that were produced shortly before 9/11 and all came to our screens in the immediate aftermath of the attacks. The Agency is the most procedural of the three series, and is reminiscent of older FBI-sponsored TV shows like The F.B.I.. 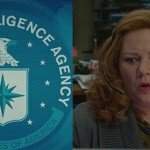 The show’s pilot episode was written months before 9/11 but depicts the CIA fighting a ‘War on Terror’ after Osama Bin Laden attacks the West. 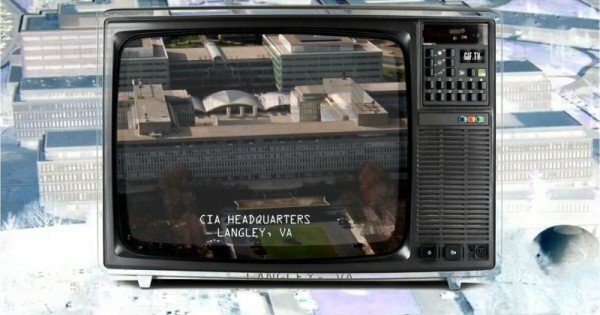 The episode was partly shot at Langley with real-life CIA officials playing extras in the background, and it was due to premiere at CIA headquarters a week after 9/11 and on TV a couple of days after that. It was pulled due to its storyline being a little too ‘on the nose’. The most likely interpretation of this is that the CIA got a bit carried away with what they were putting into the show and pulled it just in case people started asking too many questions about how ‘out of the blue’ the attacks really were. 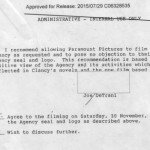 Some CIA documents on The Agency can be found here. Jennifer Garner went on to marry self-confessed CIA agent Ben Affleck. Also, both 24 and the spin-off show 24: Live Another Day (a title purloined from the Bond film Die Another Day) feature shots from the CIA’s film reel of Langley, which is a tell-tale sign that they at least read the script and approved some co-operation. This proves that Rizzo and Brandon are lying, though the reason is unclear. We might also throw into the mix the short-lived series Covert Action, produced by Craig Piligian of False Flag Productions. He had previously made a documentary called The CIA that featured interviews with George Tenet, Porter Goss and George Bush, and according to this TCM synopsis ‘goes inside the walls of the CIA headquarters’ so we can only assume it had full co-operation from Langley. That was in 1999-2000, and then in October 2000 Piligian visited Langley with Dean Cain (star of The New Adventures of Superman) to research their adaptation of the Argo story. This became the Discovery Channel show CIA Secrets: Escape from Terror which broadcast in October 2002. Piligian has also worked with the DOD for his reality TV show Survivor, again in this exact same period, so the chances of the CIA being directly involved in Covert Action are quite high. 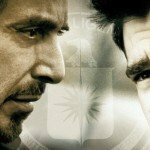 The similarly unoriginally-titled Covert Affairs was part of a new generation of CIA-assisted shows designed to replace the previous four. Valerie Plame was a technical advisor on the pilot episode, and seems to have survived her ‘ordeal’ like all cats and well and truly landed on her feet in the media and entertainment industries. The main consultant on the show was Robert Grenier – a very senior former CIA officer who was Islambad station chief in 2001 during the invasion of Afghanistan and went on to serve as head of their Counterterrorist Center before being fired by Porter Goss. He then joined Kroll Inc. So that’s two former CIA officers who left the Agency under a cloud who are now helping to shape this show. This series is the brainchild of Jonathan Nolan – the brother of Christopher Nolan. IMDB lists two technical consultants – James D Dever (who is one of the most prominent people in Hollywood doing this sort of job) and Tony Camerino. Both are former military men – Camerino was an interrogator, and thus is an interesting choice given that his training and experience must make him psychologically quite formidable. However, not listed on IMDB is Valerie Plame. The Washington Post says that, ‘she’s a consultant to Warner Bros. Television, advising on such shows as CBS’s “Person of Interest.”’ and in this interview with the show’s creators they mention that, ‘We brought Valerie Plame in to talk to all the writers’. So she definitely worked in a significant capacity on the show, yet this is for some reason not officially credited. All this only adds to the suspicion that her ‘exit’ from the Agency was anything but that. Another show with a dubious relationship with the CIA is The Blacklist, the hugely popular James Spader vehicle that rubs our faces in the fact that international criminals not only operate at a higher level than a lot of intelligence agencies, they are also offered immunity precisely because of this. The two listed technical advisors are former NYC police detective James Bodnar and ex-FBI hostage negotiator Brad Jay Garrett. According to Garrett’s site he ‘obtained confessions from the first World Trade Center bomber, one of the Washington D.C. snipers, the CIA shooter, and dozens of other suspects’. So he was more than just a negotiator – he was also an interrogator. Yet another modern CIA-assisted show is The Americans, written by former CIA officer Joe Weisberg. It neatly coincided with renewed tensions between the US and Russia and re-opened some old wounds by portraying a Russian spy ring in Washington DC in the 1980s. It has been widely reported that scripts for the show have to go to the CIA to be vetted before they are turned into episodes. This poses an interesting question: Does the work of all these ‘former’ CIA officers, even those who are consulting and not directly writing scripts, have to be vetted? It seems likely, and so even with those who have genuinely left the Agency, a shadow still looms over them and their work. Another question is posed by Weisberg’s hugely inconsistent account of when, exactly, he decided to write about the CIA. In various interviews, and interviews with his colleagues, an anecdote is retold where Weisberg is in the final stages of exams to get into to the CIA. He is given a polygraph and is asked ‘Are you joining the CIA in order to gain expertise on espionage so that you can write about it later?’ This is where the different versions diverge. While it might be possible to reconcile these different accounts, it is strange that they diverge so obviously. Whether Weisberg is still working for the CIA cannot be stated with certainty. A similar series (and one of the ones I haven’t seen yet) is The Assets, which tells the story of Aldrich Ames, the famous spy for the Soviets who stole thousands of CIA documents. It is based on a book by a pair of former CIA officers Sandra Grimes and Jeanne Vertefeuille. It has a similar theme to The Americans and therefore is presumably aiming to capitalise on and encourage the wave of anti-Russian sentiment seen in the last couple of years. That most of these shows were lined up and ready to go, just as with the immediately post-9/11 shows, should not come as a surprise. Due to be cancelled after only one season, State of Affairs is perhaps the least successful of all the CIA-inspired shows on TV in recent years. This is despite it being the baby of another former head of CIA counter-terrorism Henry Crumpton and a former briefer to George Tenet, Rodney Faraon. The CIA’s twitter account has even tweeted corrections while the show has broadcast, as they did with Argo. Unlike Argo, State of Affairs is not going to win any awards. However, Crumpton and Faraon’s company Aardwolf Creative is developing up to a dozen ideas for films and TV shows, so they’ll probably be back before long. Of course, no rundown of CIA-sponsored TV shows would be complete without their pet project, Homeland. The cast has visited Langley, the show has held premieres at Langley, some scenes were shot there, and the producers have made numerous references to both current and former CIA officers acting as consultants on the script, among them Chuck Hogan and John MacGaffin. ClandesTime episodes 16 and 44 review the show in some detail, and it is clearly the trend-setting frontrunner in the current pack. No surprises, senior producers Alex Gansa and Howard Gordon previously worked on 24 and before that The X-Files. A more prominent exponent of the War on Terror can hardly be found on TV these days, with the possible exception of Aaron Sorkin and Scott Rudin’s The Newsroom. What we are to conclude from all this is that the CIA’s involvement in TV, while somewhat smaller in scale and profile than their Hollywood operations, has been continuous since 9/11. In some cases the same technical advisors and producers have made multiple generations of shows, adapting the themes and perspectives not only to the demands of the audience, but also to the demands of the Agency. It recently came to my attention that Burn Notice is another CIA-assisted show from this period. Showrunner and creator Matt Nix explained in an interview where they got ideas for the show, saying ‘We’ve gotten things from the ATF. We’ve gotten things from folks at the actual CIA, all over the place’. Also working on the show is former US spy Michael Wilson, not to be confused with Bond producer Michael G Wilson. Burn Notice‘s Wilson is almost certainly a former agent of the CIA, and some articles even explicitly say that. But Wilson is very cagey, in a 2007 interview Nix admitted that although a lot of the show’s ideas came from Wilson, the two had never actually met. Wilson is so important to Burn Notice that the central character is named after him – Michael Westen. This penchant for basing characters on real life agents turns up repeatedly in CIA movies and TV series, adding to the impression that Wilson too was CIA. 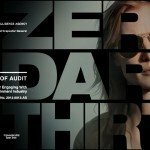 Berlin Station – 2016 – ? Last year’s acclaimed spy drama Berlin Station employed notorious former CIA officer Robert Baer as a ‘story consultant’. Baer has turned into something of a self-satirising figure, what with his much-publicised claims about Hitler surviving WW2 but his influence on Berlin Station should not be underestimated.